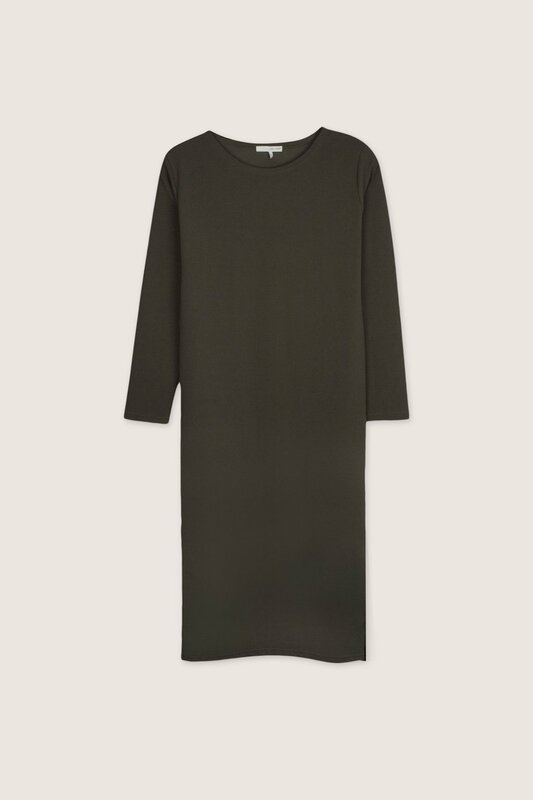 This classic midi-dress features an ever so flattering form-fitting silhouette with a crewneck, long sleeves, and a bottom slit on one side for a feminine touch. The crepe-inspired fabric gives this piece a sophisticated look while providing enough stretch for maximum comfort. Minimal and versatile, this piece can easily be styled up or down for numerous different looks. Pair with ankle boots and a long knit cardigan for a effortlessly chic and cozy look.